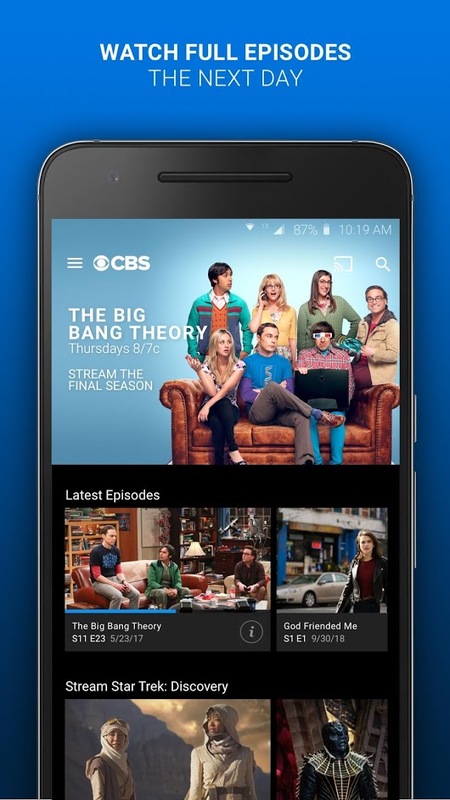 Watch full episodes of your favorite CBS shows for free. Stay caught up on hit CBS TV shows like Blue Bloods, CSI, CSI: Cyber, NCIS, The Good Wife, The Big Bang Theory, Madam Secretary, 2 Broke Girls, Mike & Molly, Criminal Minds, The Late Show with Stephen Colbert, The Young and the Restless and many more! Without a subscription you get access to free primetime episodes in HD with 8 day delay. Free daytime and late night episodes in HD the day after they air. 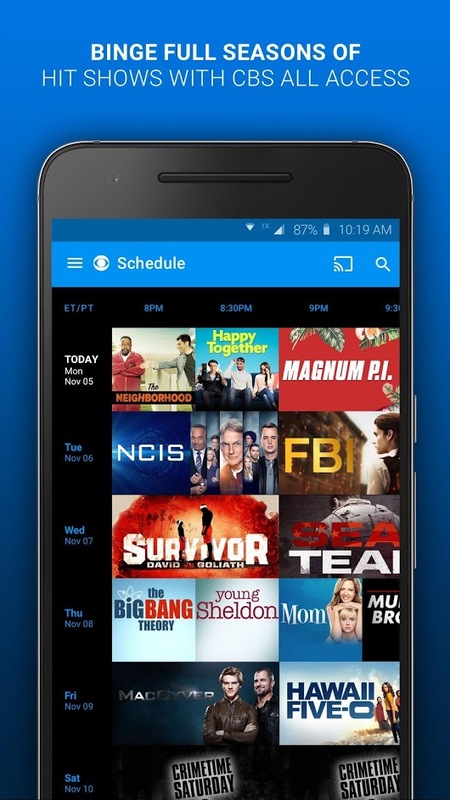 You can personalize show lists and notifications with ‘My CBS’. Primetime schedule and photo galleries and Resume episode playback from where you left off. If you subscribe you get the most out of the app, like: -Next-day access to the latest primetime episodes in HD. Live TV streaming from local CBS stations. 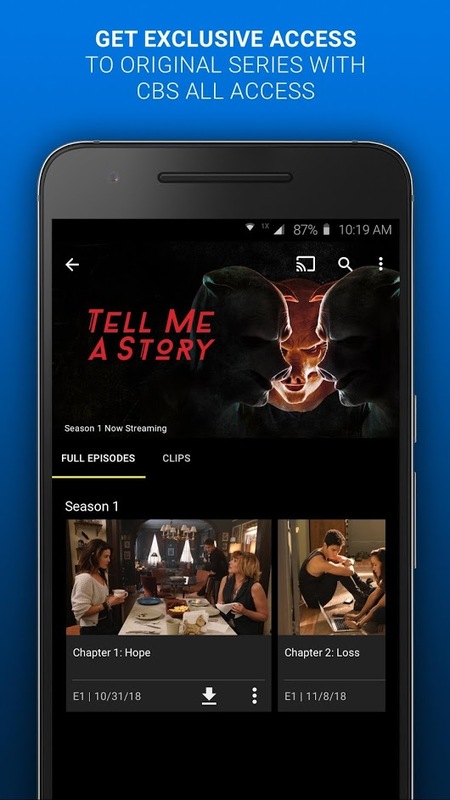 Access to library of over 7,500 episodes including every episode of every season of top shows such as NCIS, The Good Wife, Survivor, Scorpion, and Hawaii 5-0 and Ad-free viewing for classic shows and fan favorites such as Star Trek, I Love Lucy, CSI: Miami and more. 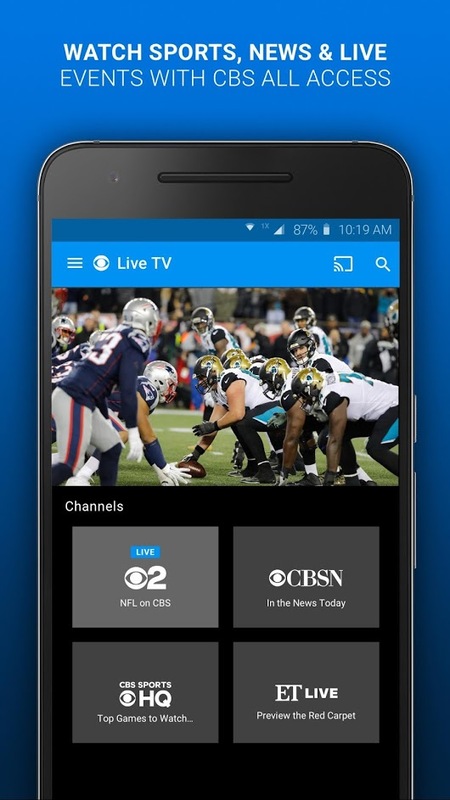 Note: CBS app is free. Only available in USA. You can try the best of this app for 1 week.